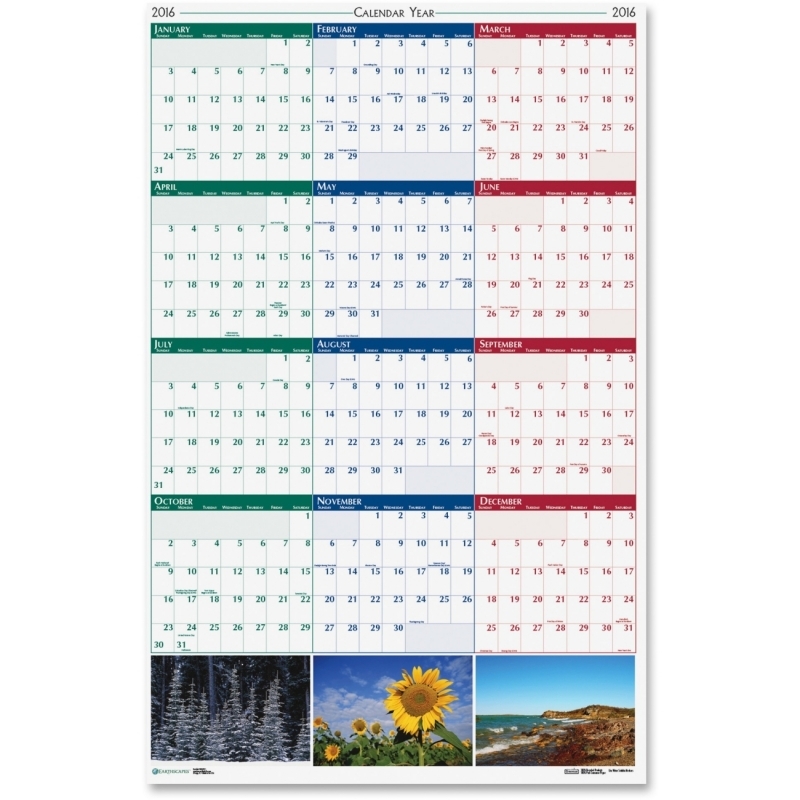 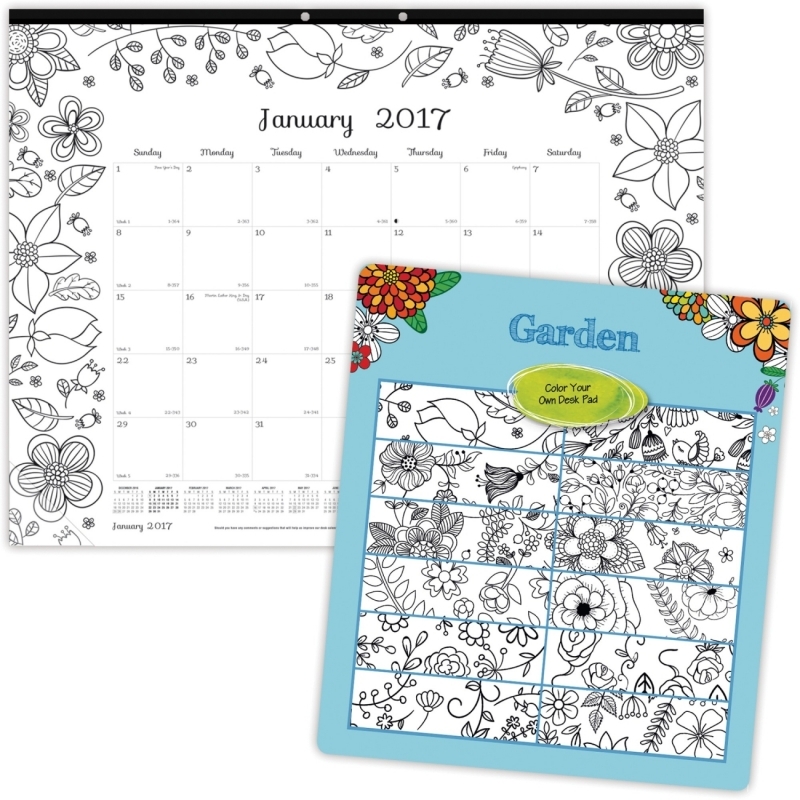 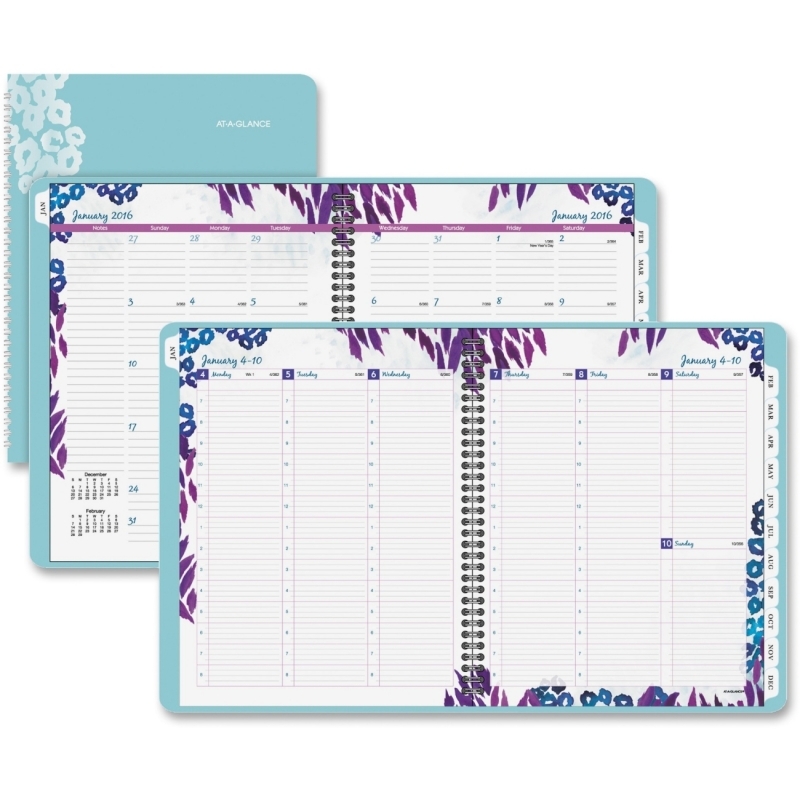 Mixes of soft and dark prints on this weekly/monthly calendar create a wild pattern in softer and darker color tones. 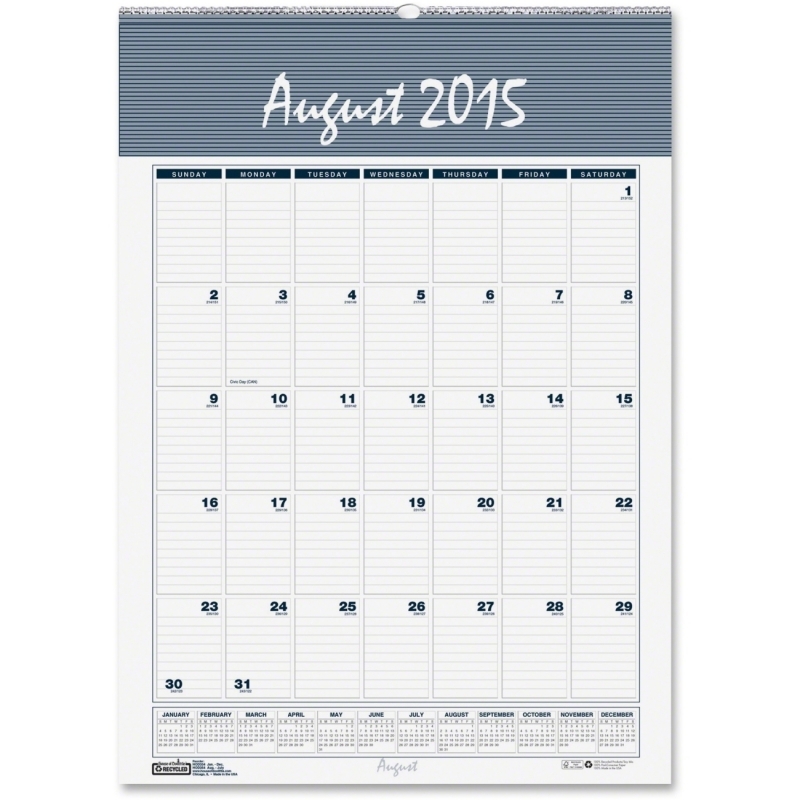 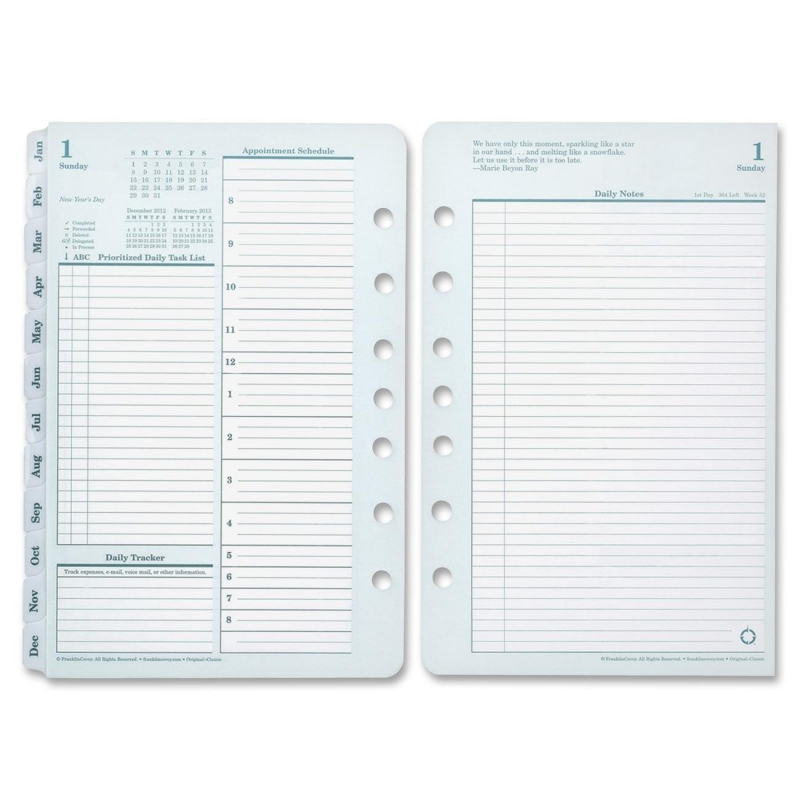 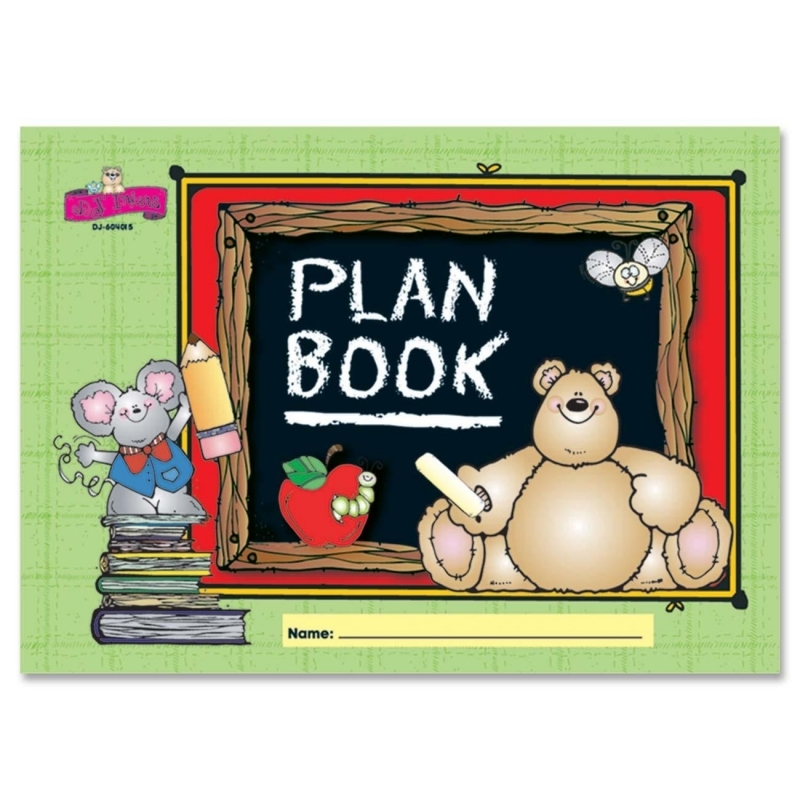 Dated planning pages range 13 months from January to January and are tabbed with monthly references. 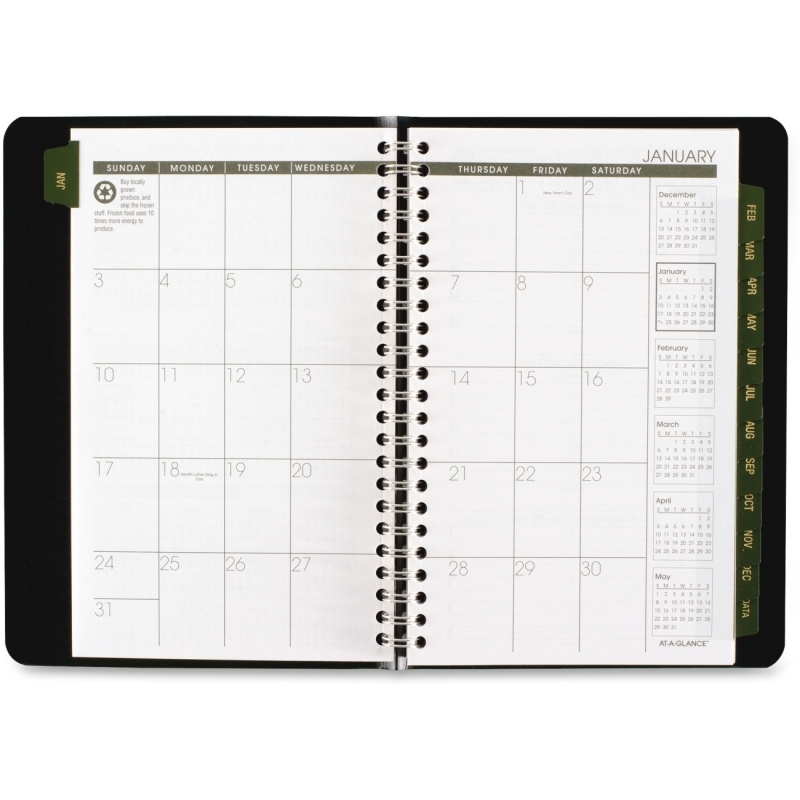 Two-page-per-week spreads allow detailed planning with hourly appointment times on the weekdays from 7 AM to 8 PM. 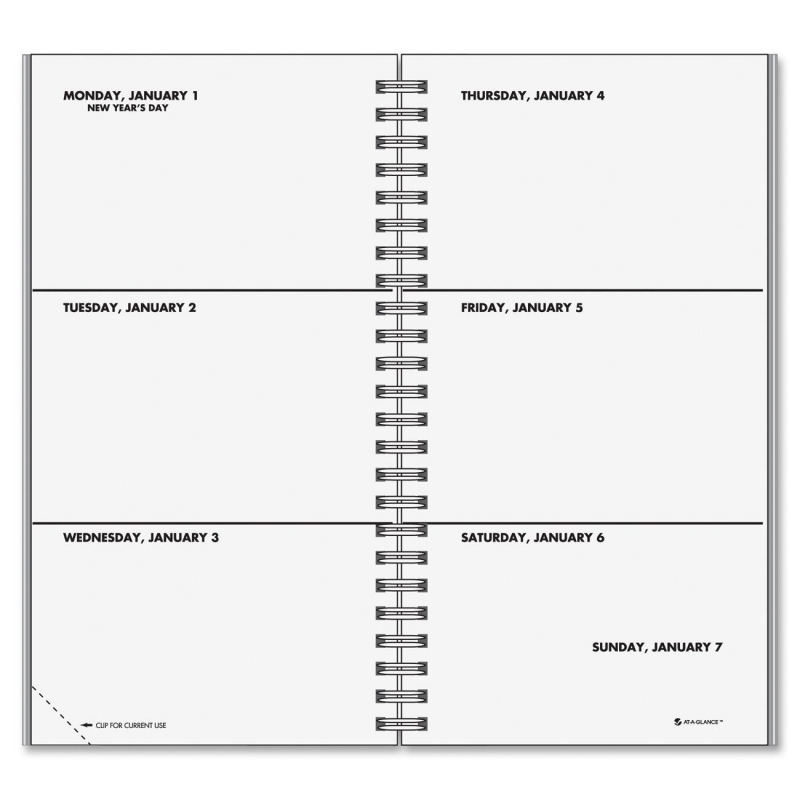 Weekly pages also include daily columns, numbered weeks, Monday-through-Sunday entries, ruled notes section, count of days/days remaining and holidays. 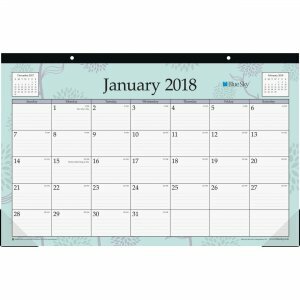 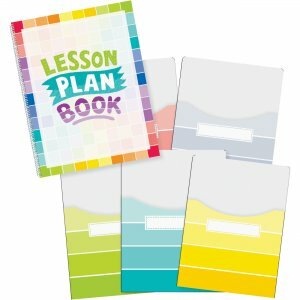 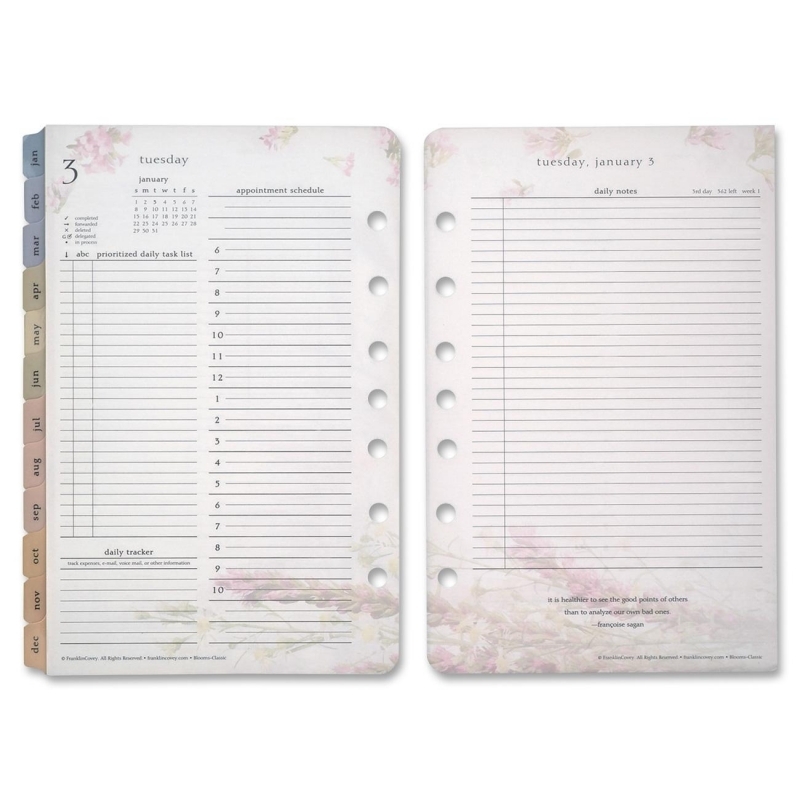 Two-page-per-month spreads feature ruled daily blocks, Sunday-through-Saturday scheduling, ruled notes column, count of days/days remaining, holidays, and past and future months reference.